Do you feel like having family time is an impossible dream? It is difficult when you are working odd hours and the kids are running around like headless chickens, but the reality is that if something is a priority, we make it happen. Family meals are not an old-fashioned, outdated ritual. Family meals are one of the easiest ways to have family time. You are all going to eat anyway, so it doesn’t take more time to sit down and eat together. It may take some planning to find a time when everyone can be in the same place at the same time, preferably at home, but it doesn’t take more time to eat together. 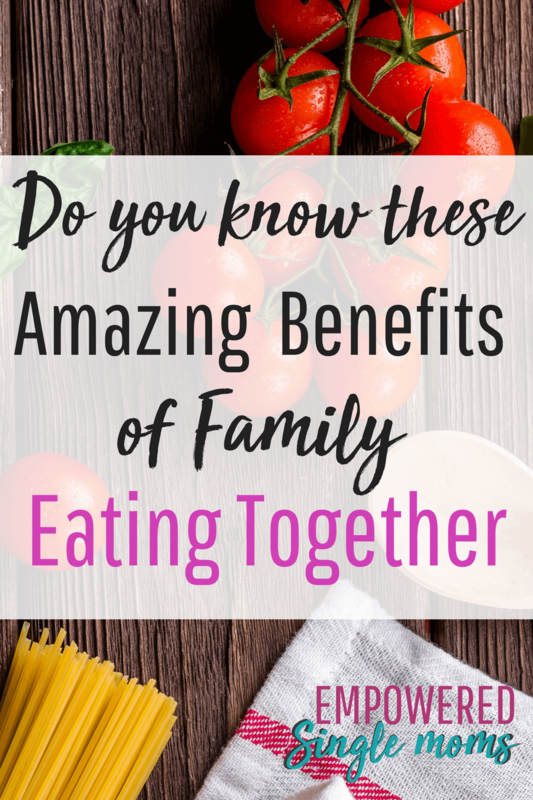 Healthy, easy family meals have many other benefits. Children who eat healthy family meals are less likely to become obese. They are also at lower risk of developing eating disorders. Regular meals as a family minimize grazing that leads to obesity. Anorexia nervosa is a disorder where one avoids eating. Bulimia is a pattern of bingeing on food and then purging.When you eat meals as a family, you are able to notice what your child is eating. Does he/she seem to be eating an appropriate amount of food to fuel his/her body for the activities he/she is doing? You are also able to notice if your child is eating a balanced diet. When there are red flags about eating too much, not enough, or unhealthy choices, you can ask about this or provide different food options. Parents are in charge of providing options and children are in charge of selecting from those options. Children assume greater responsibility in this area as they mature. Parents are responsible for providing nutritious meals. Healthy meals are low in processed food and include lean protein, vegetables, and fruit. It is also important to provide whole grains and minimize low-fiber white starches such as white bread, rice, and pasta. Left to their own devices, children are less likely to make healthy choices than if parents prepare healthy food. This is an opportunity to model that in a healthy meal, about half your plate is fruit and vegetables, a scant one quarter of your plate is protein, and about one quarter should be whole grains. Mayo Clinic provides detailed information on healthy diets here. Family meals are an opportunity for the family to work together to get the food on the table and clean up afterwards. Even very young children can carry a small bowl of raw vegetables to the table or help set the table with napkins or silverware. As the children get older they can help chop vegetables or even take a turn making or planning meals. Children will be at the table for meals if that is where the food is and you take their schedules into consideration. Families are fragmented by work and activities. Regular family meals (daily, if possible) are great opportunities to hear what is going on in everyone’s lives, ask questions, and help with problem-solving. Not every meal time will be filled with stellar conversation. If you eat together regularly and provide a calm, peaceful environment, it will happen. What do you do to entice your children into pleasant conversation? Keep it simple. Ask about the highs and lows of their day and share your own highs and lows. I always liked to hear about playground time during elementary school because it gave me insight into their peer relationships. Or you can ask about something everyone learned or something everyone is grateful for that happened during the day. As children get older, world events may make good table conversation. There are days when it seems you will be preparing family meals forever. If you have survived potty training or your children are too old for daycare, you probably thought those days would never end either, but they did. Too soon, your children will be out of your house and you will never have the opportunity to watch them pick at their food or tell you they prefer pizza again. Planning family meals is key to peaceful family meals. You can shop once for the week. You can prep ingredients or use ingredients that require no prepping. Look for times when everyone’s schedule aligns. It really can be simple. Meals do not need to be elaborate to be nutritious and enjoyable. I am glad to send you the game plan I use to get healthy meals on the table. Simply enter your e-mail below. Parents, especially moms, set the emotional tone of the home. If you are calm, it is likely the children will be calm. I know some of you may think I am being sexist by saying that moms set the tone, but think about your family. When mom is upset and irritable, children are more likely to be cranky or have behavior problems. Think about if this is true for your family. I know it is easier said than done to stay calm while getting dinner ready and on the table when everyone is getting home from a busy day, tired, hungry, and crabby. One thing you can do is put out a tray of fruits and vegetables to snack on while getting dinner ready. If you arrange a plate of fruits and vegetables by color and call it a rainbow salad, it can be magical to young children. Replenish it as part of cleaning up and it will be ready for tomorrow. It is much easier to stay calm if you are not hungry. Having a plan before you get home so that you have everything you need at hand also makes it easier to stay calm. No screens (phones, tablets, computers, or TV) on or within reach of the table. Meal time is family time. It may only be 15-20 minutes, but it is sacred family time. Meals are family work, so everyone participates in preparing or cleaning up after meals. 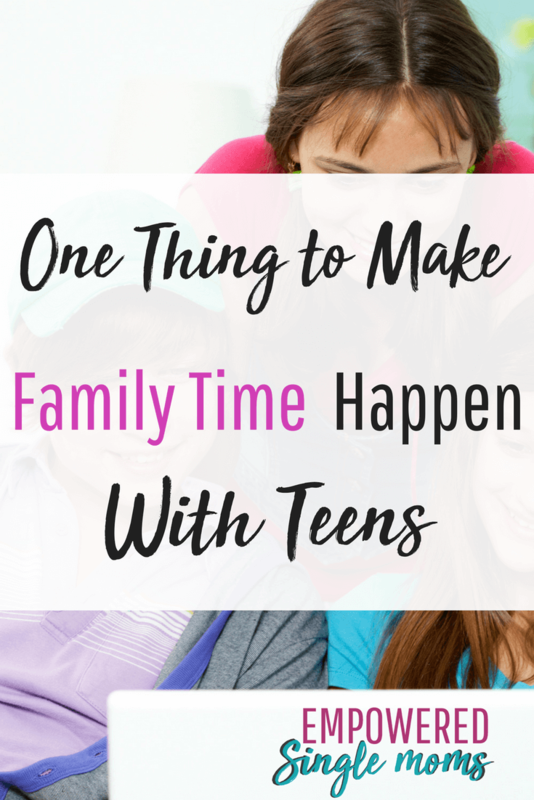 How you structure this in your family will vary with the age of the children and their schedules. Saying “Yuck!” is rude. It is fine to have preferences. When someone prepares food for you, it is a gift and should be received as such. If someone does not like the food, they may request a specific meal be put on the meal rotation or ask if we could wait a while to have liver and onions (or whatever the offensive food may be) again. For more about the importance of respect, check out Number One Parenting Rule. Home is not a restaurant. One meal is prepared for the family. If there is an allergy or a chronic disease that requires special consideration, an exception will be made. Some teens who live with meat eaters may choose to be vegetarian or vegan; if so, make the difference in the meal as minimal as possible. There are vegetarian and vegan suggestions in the meal plan I wrote. Flexibility contributes to harmony. Children can pick out extremely offensive food. Mushrooms were in this category at my house. I like mushrooms and eventually, it was more of a bother for the kids to pick them out than to eat them. Children are expected to try small amounts of foods they do not (or believe they will not) like. After all, if we never tried anything new we would all still be surviving on formula and breast milk. People’s palates change and mature, so even adults can retry foods they have not cared for in the past. Kindly framing one’s taste as maturing may make it more desirable to check and see if one is old enough to like a certain food. Be considerate and have at least one thing on the table that each person likes. I would often put several containers of different vegetables or a vegetable tray on the table. The children chose a variety of vegetables but were not expected to choose every vegetable on the tray. Why do I say “40-minute investment”? It takes about 20 minutes to prepare a meal. I want you to have the game plan I used to make it possible. Now you have 20 minutes to enjoy a healthy meal as a family. In the time it would take you to drive to a fast-food restaurant, order, and eat your meal, you will have a healthy home-cooked meal on the table. Do you have a tip to share that makes family meals more doable?